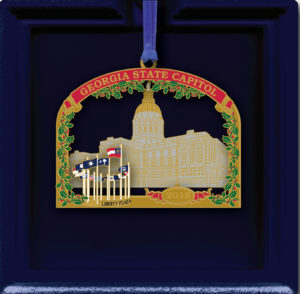 The Friends of Georgia Archives & History, formed in 2004, is a not-for-profit organization that supports and enhances the programs of the Georgia Archives and the Georgia Capitol Museum. By underwriting education programs, public lectures, internships, exhibits, and projects the Friends enhance public awareness of the treasures to be found at the Archives and Capitol. The Friends strive to bring life to the documents and artifacts through programs that focus on those who created them, the significance of their creation, and the impact they had on the lives of ancestors and modern-day citizens.